Grammy's Attic: Birthday Time at Challenges for Days! What an adorable image and beautifully shown off Connie. WOW this is fabulous Connie, I love this image and happy birthday to CFD too. Thank you for all you do at CfD. Beautiful card. Love the coloring on it. What an adorable card! Love the colors too! Beautiful card! I love the image of the girl in that beautiful dress and her basket of flowers! That SW die looks gorgeous on your card! Your card is lovely with those die. I simply adore your colouring skills, the image is beautiful. Lovely card with pretty coloring! Beautiful frame and butterfly dies you used to embellish your card! A super card for our 'In my Garden' theme at Stamping Sensations challenge, many thanks for joinin in. You are your team mates do a fabulous job running the site, always so helpful and informative, thank you. 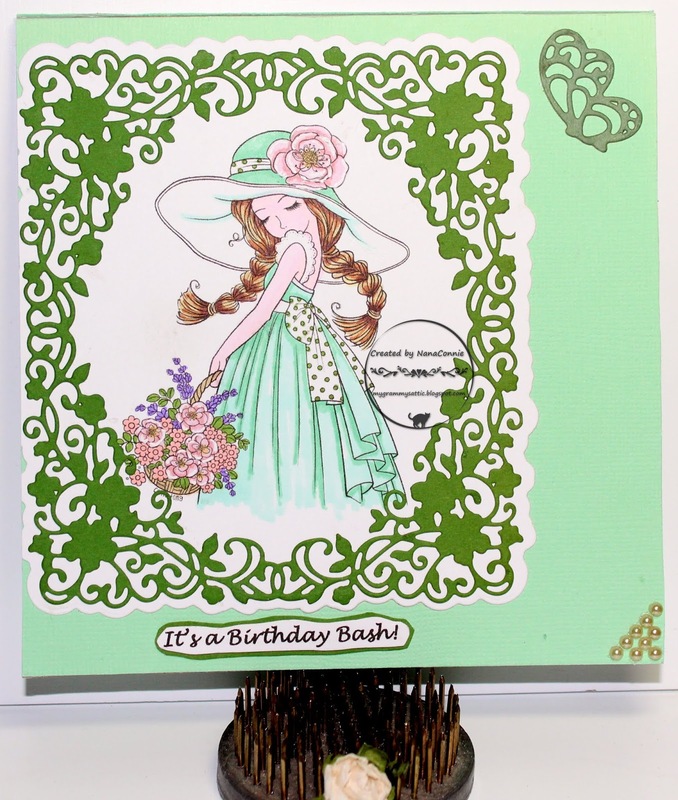 Love how you have pulled off this card with shades of green with so much elegance. I simply adore your coloring skills, love those intricate dies. 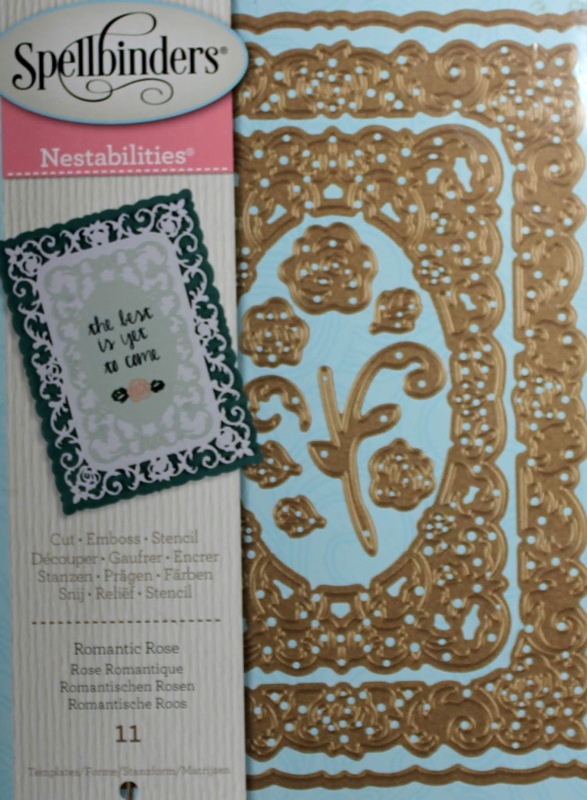 adorable romantic image and card love the pastel shades. I love your card and happy birthday to CFD, you are amazing! And thank you for the chance to win, you are so generous. A beautiful card and thank you for the chance to win this lovely die to celebrate the CFD 5th birthday. Très jolie carte, j'espère avoir une chance de gagner même si je réside en France. Very nice card, I hope to have a chance to win even if I live in France.